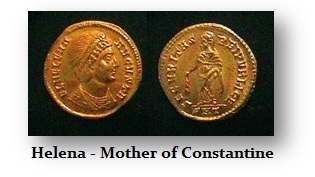 Flavia Julia Helena, the first wife of Constantius I and the mother of Constantine I the Great, was born in 248AD. 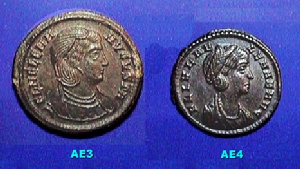 Constantius was obliged to divorce her in 293 AD, on his appointment as Caesar, so that he might enter a political marriage with Theodora, the stepdaughter of Maximianus. 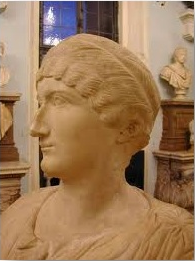 Helena then lived quietly in retirement until the elevation of her son to imperial status, whereupon she was granted the title of Nobilissima Femina. 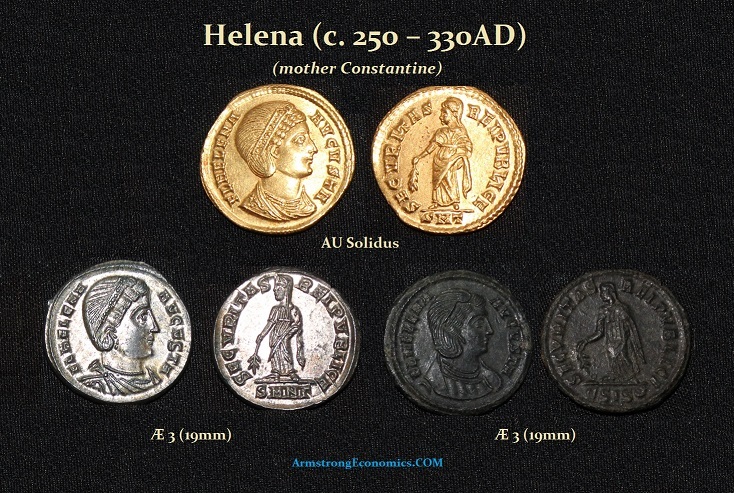 Helena was accorded the rank of Augusta in 324 AD and died about four years later at the age of eighty. 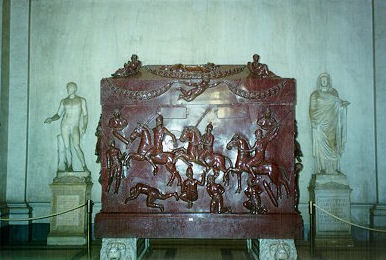 During her son’s reign, Helena explored the Middle East in search of holy sites. Many of the sites, churches and shrines that exist today throughout the region are the direct result of Helena who remained a devoted Christian. Because of her piety she was officially numbered among the Christian saints by the Church.